Happy Friday Boston!!! I have been digging through events all week to pick the best events for you to enjoy this weekend. The weather is definitely feeling like Fall. Perhaps a perfect time to check out the Harpoon Brewery Flannel Friday party at Lawn on D tonight!! Here's my list of events not to miss this weekend!! Get out and experience Boston!!! 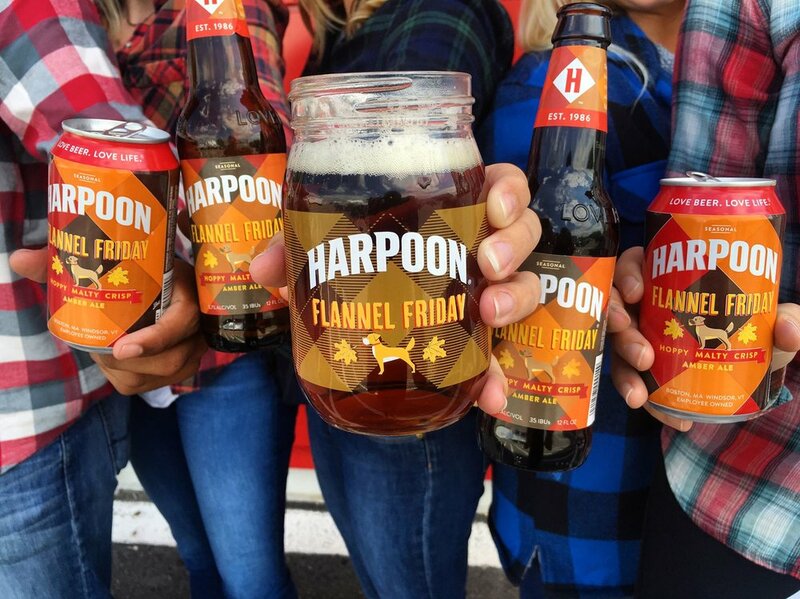 Flannel Fridays at Lawn on D with Harpoon Brewery - Join Harpoon Brewery at Lawn on D this Friday, Bostonians will be rockin' their best flannels all while drinking the newest Harpoon Brewery's Fall seasonal, Flannel Friday. Return of the Belgian Beer Fest! -The one-day, two-session event will be held on Saturday, September 17 at 58 Fore Street in Portland, Maine, and will feature hundreds of authentic Belgian beers and Belgian-inspired offerings. Sponsored by Allagash Brewing Company. Octoberfest at Dorchester Brewing Co. -Celebrate the official Oktoberfest Kick-Off (same as Munich, Germany!) with lots of our fresh Oktoberfest beer served in traditional German liter steins. This festive celebration will make you feel like you’re in Munich including a live German band, traditional food and all things Oktoberfest! b.good will be serving up $2 brats to the first 50 customers starting at 1pm and the German band will be playing from 3pm-6pm. Come on down for lots of fun and a great time! Quincy Food Truck Festival - The 2nd Annual Quincy Food Truck & Craft Beer Festival will feature over 20 local trucks paired with over 50 local craft beers. Thursday night 617 Images captured this amazing sunset over the Zakim Bridge. Don’t miss Stone Zoo’s annual beer-tasting event, Ales & Tails! - This tasting will feature stations hosted by local breweries and the opportunity to stroll amongst the animals– including black bears, North American river otters, cougars and many other amazing species that call the Zoo home. Complimentary hot dogs and french fries will also be provided. Proceeds from Ales & Tails will support the operation and continued growth of Zoo New England, its education programs and conservation initiatives. American Field Pop-up - American Field is a 2 day pop-up market and exhibition featuring the best in U.S. Made clothing, accessories, goods, furniture, and the people who make them. The event is open and free to the public. Kick Off Fall with the Heather Abbott Foundation at the Barking Crab - Enjoy amazing food and drinks while learning about the mission of the Heather Abbott Foundation. There will also be live musical entertainment, delicious food as well as an open bar! Mixfest 2016 - Mix 104.1 is back with Mixfest a FREE outdoor concert rocking the DCR Memorial Hatch Shell this Saturday with grooves from OneRepublic, Ingrid Michaelson and Shaggy. Customer Appreciation Day at South Street Diner - South Street Diner hosts it's annual Customer Appreciation Day. Stop by and see Sol and the gang from 2:00pm -6:00pm for a fun filled family friendly afternoon with FREE pony rides face painters, cartoonists a live dj and plenty of hamburges and hot dogs. 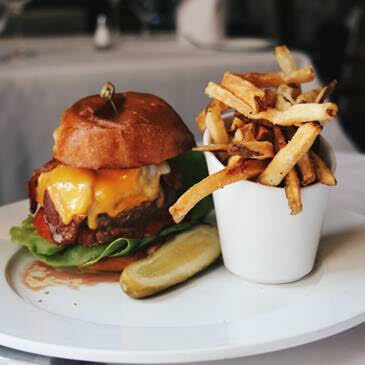 Sunday is National Cheeseburger Day, I can't think of a better way to celebrate than a burger that screams Brunch!! Check out Davio's Northern Italian Steakhouse this Sunday for Brunch!! Davio’s Northern Italian Steakhouse offers brunch every Sunday from 11am-3pm where you can chase down their Steakhouse burger with a DIY Bloody Mary from their Bloody Mary Cart. Also Check Out Hidden Gems In and Around Boston! !